Louise Stoll heard all about the incident last month in which American Airlines flight attendants told a couple not to put their infant in an airline-approved car seat because properly buckling the seat in would delay the flight from taking off. Instead they would have to hold the baby in their lap during takeoff and landing. The carrier has since apologized, but you could practically hear Stoll shaking her head over the phone from Vermont. She is literally the grandmother of invention – the Child Aviation Restraint System, or CARES, which she invented in 1996 and is still the only Federal Aviation Administration-approved airline safety seat for children who weigh between 22 and 44 pounds. Airline child safety has been in the news quite a bit lately due to that American Airlines incident and the 25th anniversary Saturday of the crash of United Airlines Flight 232 in Iowa, which killed 122 passengers including a 22-month old child. Flight attendant Jan Brown, who worked that flight, has also been a vocal advocate in asking the FAA to ban the practice of allowing young children to sit on their parents’ laps. Still was living in Washington, D.C., in the late 1990s when her daughter Miriam, who lived in Vermont and was expecting her second child, arrived for a visit. "When I saw her get off the plane, she was almost seven months along, had a toddler on her hip, a 20-pound car seat in the other arm, and a diaper bag," Stoll said. "That was quite a scene. I thought: There's got to be a better way than this. I figured, well, she couldn't get rid of the kid, or the diaper bag. But, she could get rid of the car seat." That was when her grandmotherly ingenuity took over, and that’s how Louise Stoll invented the Child Aviation Restraint System. The FAA certified CARES in September 2006, which means parents can bring CARES on board and use it during all phases of flight. 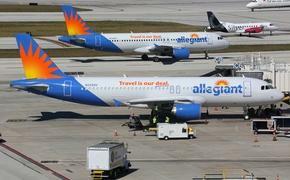 It also means that airlines cannot prevent parents from using CARES on board. 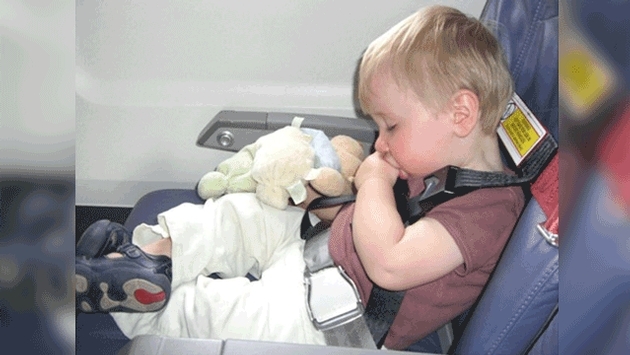 The restraint is designed for children, between 22 and 44 pounds, who are able to sit in their own airplane seat. The one-pound safety harness is made specifically to fit on the back of airline seats — not automobile seats — and allows parents and grandparents traveling with toddlers to check their car seats along with their luggage. Then they don’t have to fight, fumble, and wrestle with tethering a car seat to the airline seat’s safety belt. "I thought, 'There's got to be a better way than this.' I figured, well, she couldn't get rid of the kid, or the diaper bag. But, she could get rid of the car seat." "The original image I had was the [jump] seat that flight attendants have," Stoll says, talking about the seat that folds down and uses a harness-style seat belt to secure the occupant. After coming up with several different drawings, her late husband, Marc Monheimer, suggested she seek out a patent attorney. The patent process took two-and-a-half years; in June 2002, Stoll finally gained patent protection for her drawings and ideas. During that time, Stoll spent a year working on a business plan and wondering who should manufacture her idea, or if she should fund it herself. Armed with a confidentiality agreement, she initially took the idea to makers of children’s car seats and carriages, including Kosco and Graco. Both companies liked the patent drawings, she says, but all the manufacturers said the same thing. "They were concerned about getting this through the FAA," Stoll said. Stoll finally settled on AmSafe Aviation, a Phoenix-based company that designs, builds and markets most airline safety belts. AmSafe was intrigued with the idea, and asked Stoll if it could build a prototype. She signed an agreement with the company in 2002; AmSafe then built the prototype and began taking it to airlines to gauge their interest. More important, AmSafe also took the safety device to the Civil Aerospace Medical Institute, in Oklahoma City, for rigorous physical testing. Once it passed all the tests there, the FAA approved it four years later. With AmSafe actually doing the manufacturing, Stoll had to figure out how to sell it. Airlines never actually bought the product; hence, she started Kids Fly Safe in 2006. Her market: parents and grandparents who have known the nightmare of flying with a baby and a car seat, and she began a grassroots marketing campaign starting with her website, kidsflysafe.com. Since 2006, more than 100,000 CARES units have been sold. Stoll sold the company to AmSafe in 2010. Stoll said she hopes to see the day when all airlines automatically carry the device.